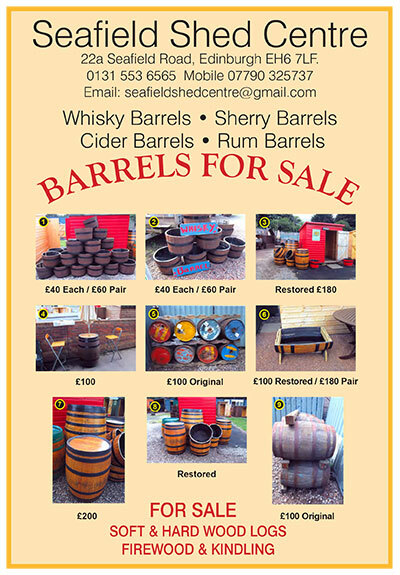 Here at the Seafield Shed Centre in Edinburgh we have an exclusive range of garden barrels and planters. We can make also make custom designs to suit your requirements. From Whisky Barrels and Sherry Barrels to Cider Barrels and Rum Barrels. 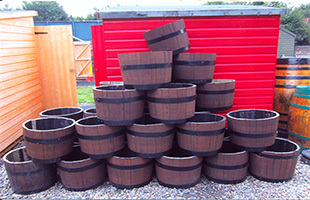 We have barrels and planters to suit any requirements. 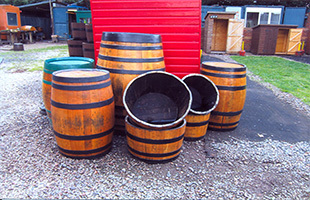 The barrels we produce are available in original form and restored. For your requirements, they can be made available sanded and yacht varnished with painted bands. We can deliver throughout Edinburgh, the Lothians and the Scottish Borders. 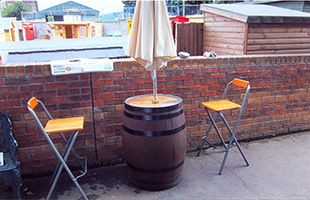 Our barrels are ideal for hotels, pubs, fetes, weddings, theatre props, film studios, gardens and homes etc. For more information on your requirements please contact us.